Be your own favourite artist. 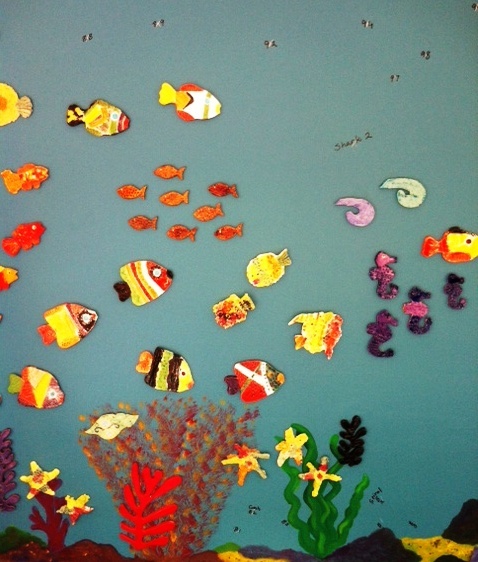 Each one of our grade two students created part of our latest mural. Hopefully by tomorrow the wall will be filled with turtles, sharks, seahorses, fish and shells. I can’t wait to see the mural completed. This entry was posted in Uncategorized by kmcfadzen. Bookmark the permalink.